How do we have “intersectional” conversations about state violence, gender, class, sexuality, and race as feminists? What do we do with our rage when we know that women, girls, queer people, and trans* people (among others) continue to be sidelined in discussions about state-sanctioned violence? To erase experiences of violence from public discourse is a form of violence in and of itself. To erase resilience and leadership is also a form of violence. Here at ENVISION, in order to think about these questions we turned to Audre Lorde. Specifically, we chewed on two of Lorde’s classic essays: The Uses of Anger: Responding to Racism and Eye to Eye: Black Women, Hatred and Anger as a way to think through enduring questions about feminism, anger, and race. We read, we discussed & we agreed: both of these essays were published more than 30 years ago yet remain ripe with insight. Below find part one of the four part series that resulted from this dialogue. Beth: I have been thinking about mainstream media reactions to public displays of anger, especially the anger of black people on the streets of Ferguson and other cities. Lorde tells us, “My anger is a response to racist attitudes and to the actions and presumptions that arise out of those attitudes.” Media manipulates the rage that people express in response to ongoing police violence as a way to disqualify the many reasons that rage exists in the first place. When we talk about the police murder of people of color—in the streets, in stores and public spaces, in prisons and homes and workplaces—we are also talking about the violence of institutions – the non-justice system of course, but also schools and housing and taxation structures. When we talk about displays of anger, this is what we need to talk about. But the structural is erased through the media spectacle of the personal. Laurian: Telling someone that their anger and rage are irrational and illegitimate extends this continued sense of ownership and control of black bodies that institutions like the media express an entitlement to have. Because rage is seen as illegitimate, then the source of that rage becomes removed from the conversation. It’s that moment when someone says: “I can’t even speak to you when you are talking to me like this.” In that instance, that conversation has shifted from thinking of me as a person with deeply held sentiments, to a subhuman incapable of having a conversation or worthy of your attention. What is cool and rational about black people being systematically murdered through state-sanctioned violence? My rational conclusion is that the widespread murder of black folks is an evolution of lynching, with ropes being replaced by guns. And the media now stands in for the mobs that used to come out to watch hangings take place. B: Exactly. When we discuss spectacular violence, such as hangings or “rioting,” we need to discuss quotidian violence – the violence that marks every day living for millions of people. The spectacular and quotidian are one in the same; at the very least they are interdependent, what social scientists call “structural” violence, or the ways in which policy regulates our possibilities of survival. This dovetails with the concept of structural racism, or how economic and social institutions systematically marginalize or exclude racialized groups. When the media disparages public expressions of anger, it serves to discredit the structural violence that creates this response in the first place. L: And the dissipating specter of violence fosters a fringing on the margins. There is a pandemic of violence against trans* women of color. Cece McDonald spent 19 months in a men’s prison for defending herself against a brutal attack while Elisha Love faces attempted murder charges for barely surviving an attack on her and a friend at a gas station. Very few trans* murders are classified as hate crimes and so many black trans* women are not escaping with their lives. B: What do you think are some of the consequence of not classifying these murders as hate crimes? L: The lack of classification legitimates not only the violence against trans* people, but violence writ large. The murders of black trans* women reveal dual hysteria: a need to murderously dehumanize black men and actively participate in processes that obliterate black women into non-entities. But its is heartening that organizations like the Trans* Women of Color Collective centralizes voice and lived experience as part of its social justice platform to drown out the stasis of erasure. TWCC works in coalition with the Black Lives Matter activists who have no iconic “leader” despite media’s best efforts to identify the next Martin Luther King. I think that’s dope because it actualizes the notion that power is diffused and that systematic exclusion has responses coming from all over the place. B: Absolutely. When we discuss the vitriol and violence that (white) people hurl at black men, when we talk about public fear of racialized masculinity, we also need to discuss the violence and shame aimed at women and girls in the streets and in every aspect of public and private life—and how these attacks differ. Black and brown bodies are not safe in public spaces. The bodies of women, girls, queer, and trans* people are not safe in public spaces and for different reasons. We are often not safe in private spaces either. B: How do we combat the erasure of gender and sexuality in discussions about violence and survival? 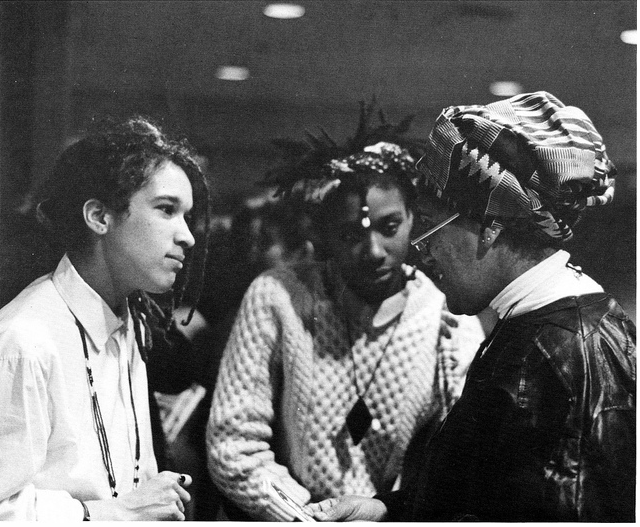 When we discuss structural violence and structural racism, we need to discuss the histories that construct blackness, brownness, whiteness, masculinity, femininity, sexuality and class in this country. And that is daunting. We need to discuss vulnerability and resilience in the embodiments of trans* and queer people. We need to dig into discomfort. We need to match rage with action. L: I think one of the ways in which we can have productive conversation about erasure is to reclaim our humanity within community dialogue. And when I say that, I mean, reclaim for us and for our communities, emotion. One of the things that I think we suffer from socially is this idea that having “smart” or “intellectual” conversation requires one to be cool, calm, rational. And if you’re black, you also have to be “articulate” in order to even garner a seat at the table. I think in activist spaces, when we focus much of our attention on the tasks at hand and timelines, we run the risk of categorizing emotional responses as unproductive. Emotions need to be acknowledged and part of the plans of action. Otherwise, emotions do spill out in unproductive ways because they are bottled and narrowed into these scripts that stifle voices. B: I think it is so hard to tease out how racism works, how experiences of racism are complex, woven as they are with all the aspects of self and community that shape us. How can we have sophisticated conversations that untangle how racism is structural and personal—the emotional aspect of experiencing racism that you are talking about? Lorde, in writing her experiences as a black, lesbian, and working class woman, laid down the foundation for later theorizing of “intersectionality.” Today we so glibly state that racism or sexism is interwoven with other embodied experiences, other axes of identity and how these make us feel in the world, how the world responds to us. But in the 1950s, when she was a “gay girl around the village” as she describes herself in Zami, and later during her involvement/s in various feminist, gay and civil rights movement activities, this was far, far from accepted. I would also say that responding to racism is about vigilantly refuting biologized and “culture-ized” notions of difference. Inequality is relational, not static. For example, practices of racism transform what we are erroneously taught are biological or cultural differences between people, what we wrongly assume to be static characteristics, into inequality. Inequality is enacted through systems that, in the end, result in different treatment, different life chances. And the wrong-headed yet persistent ideas of racialized difference that get scripted onto bodies continue to create structural inequalities from which some benefit and others do not. B: What do you think might be gained by adding Lorde’s conception of sexuality back to the pot? L: I think there’s been a loss of identity as a politic and somehow in the wake of multicultural rhetoric, identity has been claimed as deeply personal and individuated. But so many times, there aren’t the words or language to even move through these identity markers. The silencing from external spaces becomes embodied. B: Are you saying that even if we have more terms to talk about difference now, this ease of throwing “intersectionality” into the conversation might take off the critical edge? That while we might have more theory to explain how racism is embodied, multiculturalism simultaneously erases anything more than our individual experiences? L: Even as the word “intersectionality” is tossed into a conversation, do we have a critical method to feel as well as think through it in a way that is meaningful and accessible—outside of academia? Sometimes I don’t even know how I want to process through class and gender. Now add in race and sexuality and I have days where I am not even sure how to BE. I know there are people who feel this way; when all of it just feels so heavy. B: It does feel heavy. Multicultural rhetoric/post-racialism teaches that it is entirely up to us as individuals to change ourselves in order to change racism, when so many of the mechanisms that make it feel heavy are institutionalized. L: This is similar to how people feel corralled by race. I felt that way as a child, when I was socialized into blackness through behaviors coded as “not black” by my community and therefore discouraged. I would be doing something or expressing a particular notion and someone would say, “Stop acting/talking/being white.” And the action/thinking would immediately stop, at least in front of the person making the commentary. But these are the same people who would soothe the hurts of racial tokenism, gender discrimination, and fat-hatred. So while I am an avid supporter of black communities for the nurturing and sustenance I gained with people experiencing a common oppression, like Lorde, I also recognize that I am a survivor of a black community where aspects of my me-ness were picked at, bullied, and demeaned. And that is an incredible incongruity to live in. That’s where intersectionality as a framework bears the most fruit for me, by giving the lens to see the spaces where dissension and conformity encounter. But the idea that intersectionality somehow means, “I have so many identities that cannot be distinguished from each other” lulls people into believing that their experiences are so much their own that there is very little community to draw on and therefore, they are simply human. This is why I can’t get with the declarations to place humanness above other category markers. It’s admirable, but we’re not there, yet. I could only place primacy on a holistic human supra-identity when we actually live in a world that functioned that way. Where everyone has dignity and everyone’s humanness is recognized instead of dehumanized. 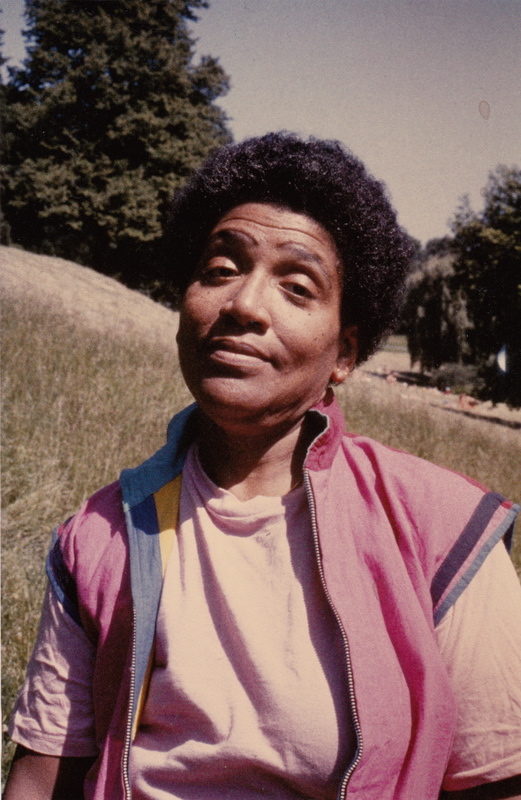 Stay tuned for part two of our four part series on Audre Lorde and the uses of anger.